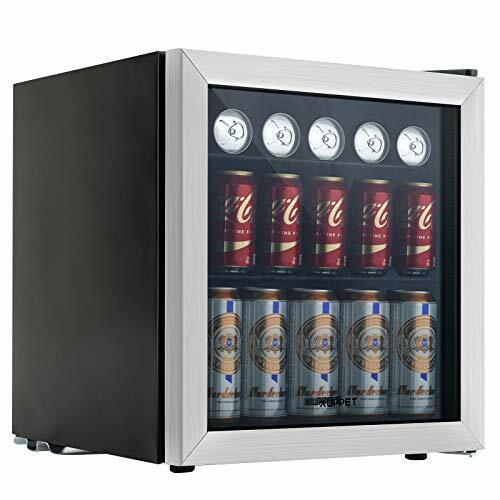 √ Widely Use and Portable- there is a handle on the top of the fridge for your convinience. Iy can use in Car/ Home /Office, and on the boats. and drivers who enjoy cool drinks and snacks while on the road. &#x1F697;EASY TO OPERATE: Designed to fit in the back seat of your car or floor, it is convenient to plug into the car cigarette lighter for power supply. Flip top cover is convenient to put in or take out stuffs. &#x1F697;【WARRANTY】: any questions please feel free to contact us, best solutions will be offered to meet your demands and expectation. 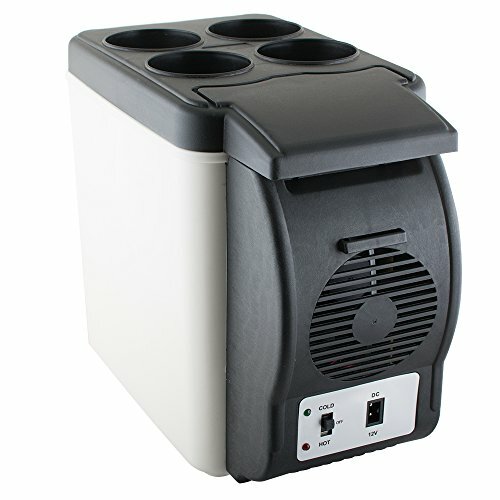 ❉COOLING☀HEATING EASY-TO-SWITCH: The thermoelectric system allows for easy switching from beverage cooler to food warmer! Help mother keep the milk or formula warm at the right temperature. Help to provide cold drinks when friends are enjoying camping, picnics or barbeques in summer. All can it make it. 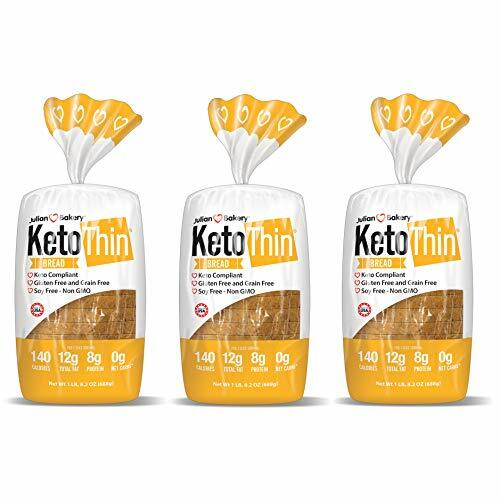 Holds up to eight 12 oz. cans. ❉INDOOR☀OUTDOOR EASY-TO-SWITCH: Easy to change from indoor use 120V (AC) into car use 12V (DC) by cigarette plug adapter. AC/DC adapters are included. Good idea for dorm, car, boat or RV. ❉PORTABLE: Ideal size for desktop use in the bedroom or outdoor use in the car. 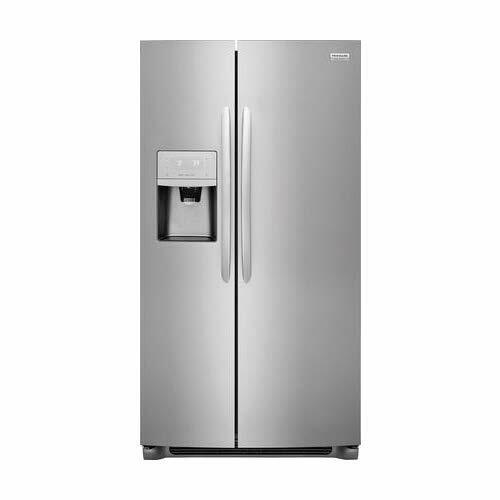 Go to anywhere with built-in handle. Measures 8.19''L x 11.02''W x 12.01"H. Weighs 8.4lbs. ❉SILENT: Low noise helps to concentrate on sleeping, working and entertainment. 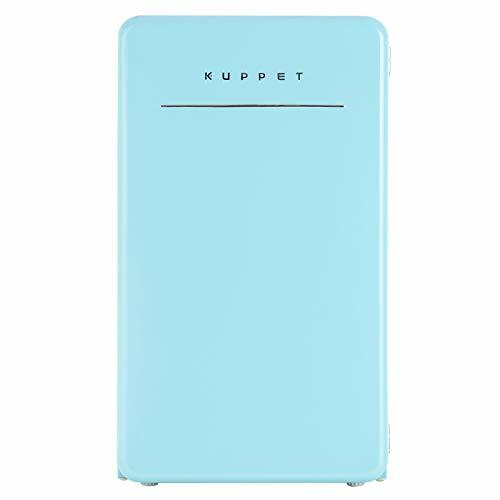 ❉WHAT YOU GET: 1 x 6L Mini Fridge; 1 x Cigarette Lighter Plug for Car Use; 1 x 120V Power Supply Plug for Indoor Use; 1 x User Manual. 100% risk-free guaranteed with lifetime support. 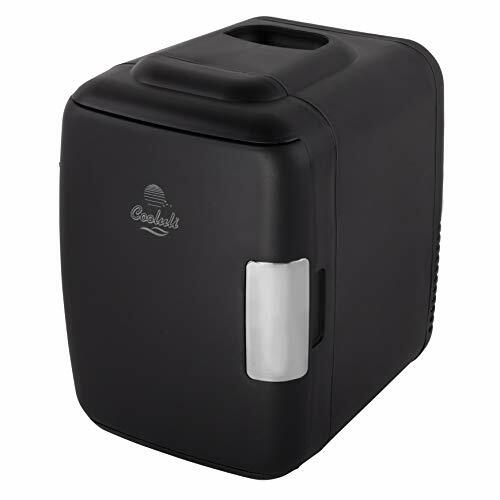 ❉ PORTABLE: Ideal size for desktop use in the bedroom or outdoor use in the car. Go to anywhere with built-in handle. Measures 8.19''L x 11.02''W x 12.01"H. Weighs 8.4lbs. 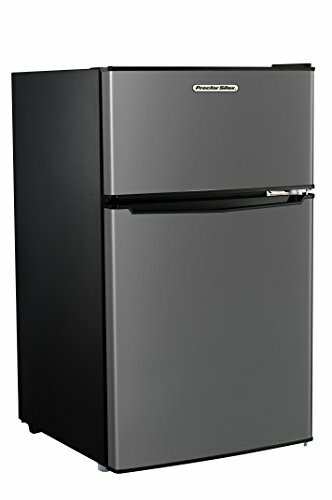 >ELEGANT DESIGN: Black Mini Electric Compact fridge, Suitable put in Car, RV, Boat,Dormitory,Kitchen,etc. 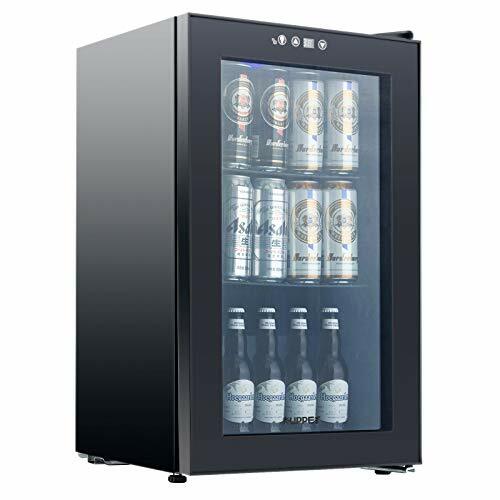 >INNER SIZE: W6.4XD5.5XH11.1 INCH(W163mm×D140mm×H283mm); capacity 6 liter can keep 8 cans 330ml cola. 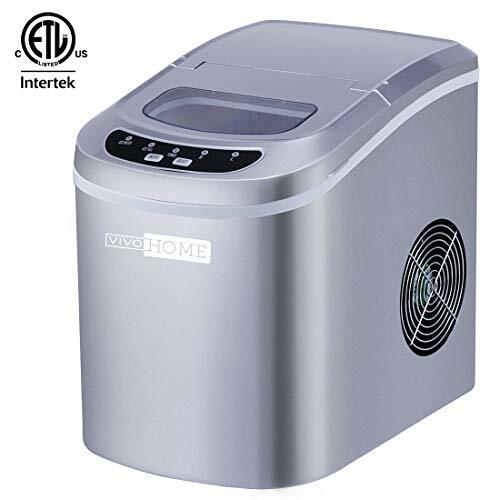 >SPECIFICATION:Voltage: DC12V; AC110V; Power by DC: Cold mode: 40W±20%; Hot mode: 32W±20%; Power by AC: Cold mode: 52W±20%; Hot mode: 52W±20%; Cooling: (20-25)℃,(36-45)ºF below ambient temperature ;Heating: +65℃ by set-point thermostat. 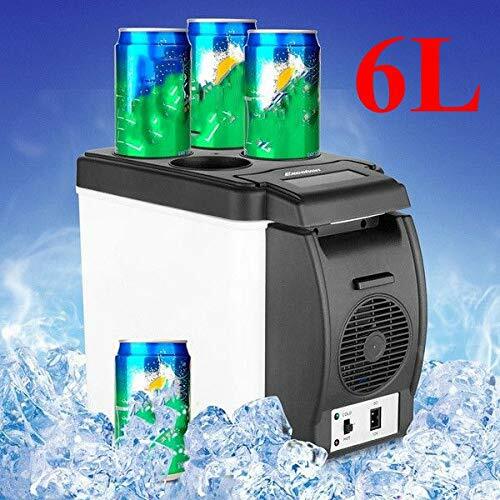 6L Capacity,Portable for outdoor camping . 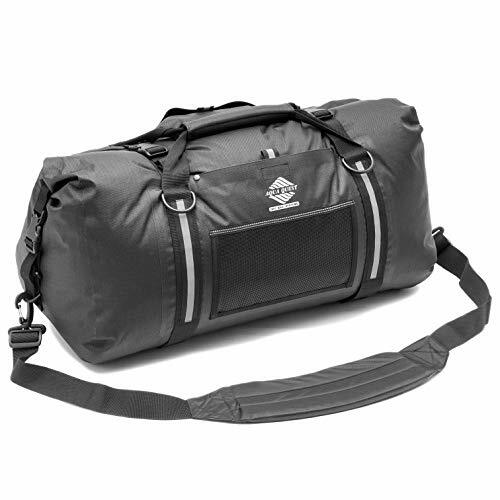 Light weight and come with a strap, can be carried on the shoulder or put in the car. 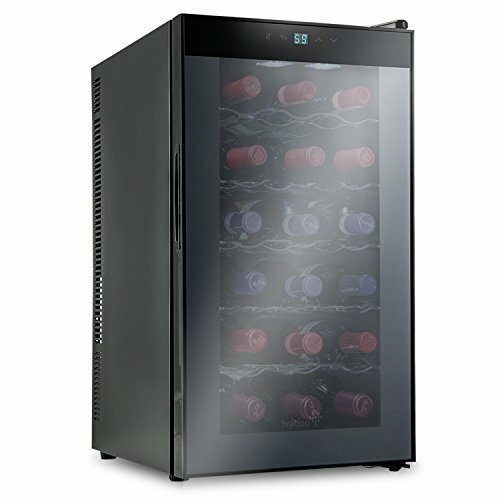 With semiconductor refrigeration system,it's energy saving, non-pollution,low noise and low consumption. Easy to use ,only need plug into your car's 12V cigarette lighter. 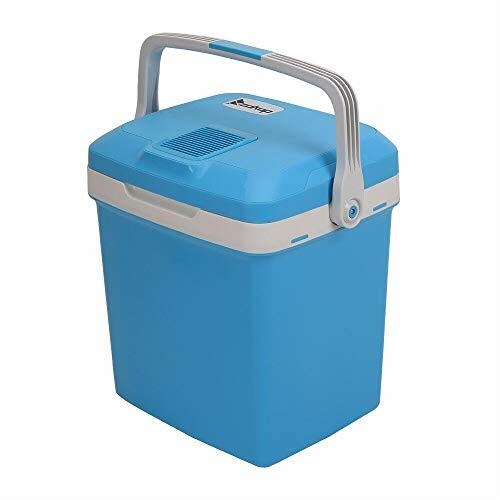 &#x1F48E;---【COMPACT & PORTABLE】6L capacity that can hold up to 6 x 330ml cans - perfect for bedrooms, offices, camping, fishing, outdoors, commuting, on the go and more! 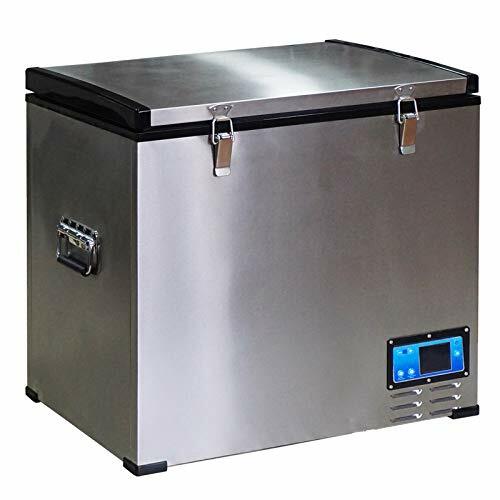 &#x1F48E;---【HOT AND COLD】The advanced thermoelectric system can cool up to 20°C below the ambient temperature or heat up to 65°C. 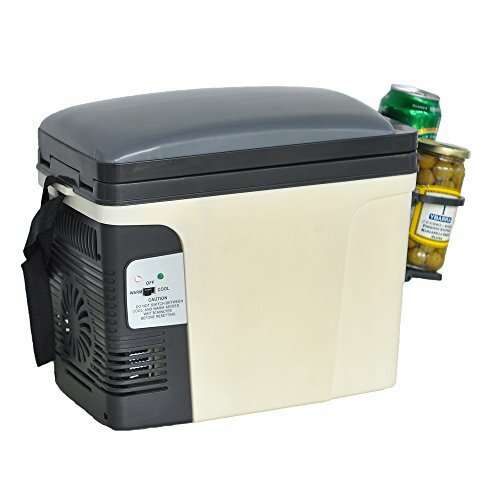 Keeping your drinks cold or food warm at a flick of a switch! &#x1F48E;---【SUPER QUIET OPERATION】Features a brush-less high-grade fan motor with the ability to perform quieter and to last longer than ever before! 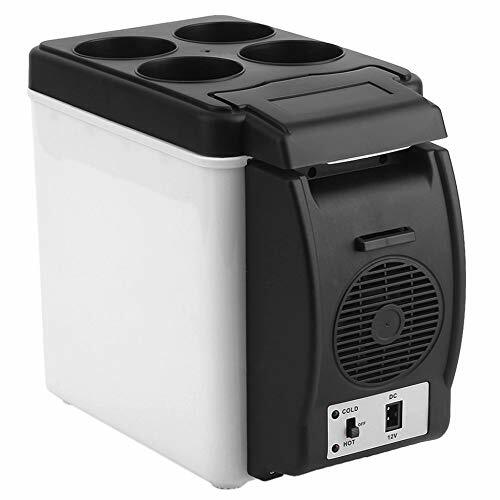 &#x1F48E;---【PORTABLE】The Ultra 6 mini cooler and warmer is made from high grade ABS plastic. 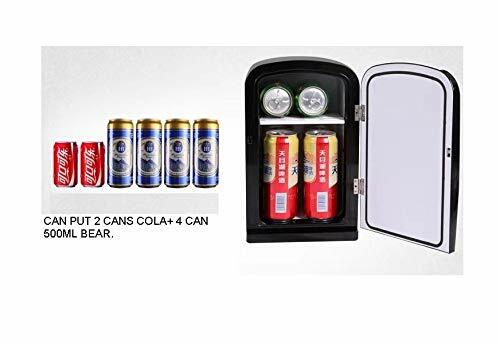 Includes a DC 12V power lead to connect to a car cigarette socket to take your mini fridge to even more places than ever before! &#x1F48E;【Satisfaction Guarantee】Simoner sincerely provides high quality service for customers with 3 month warranty. If you have any question about our product, please contact our customer service and we will reply in 24 hours. 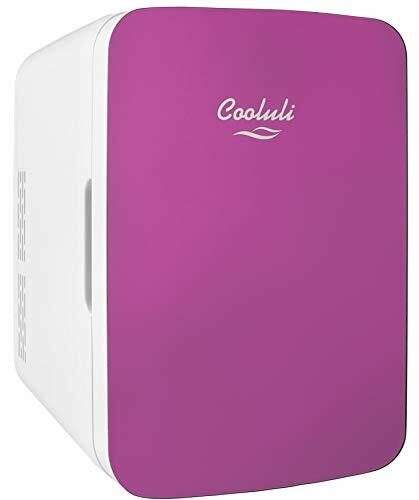 FORGET A COOLER FULL OF ICE: The thermoelectric system in the Cooluli Cooler and Warmer allows for easy switching from beverage cooler to food warmer! 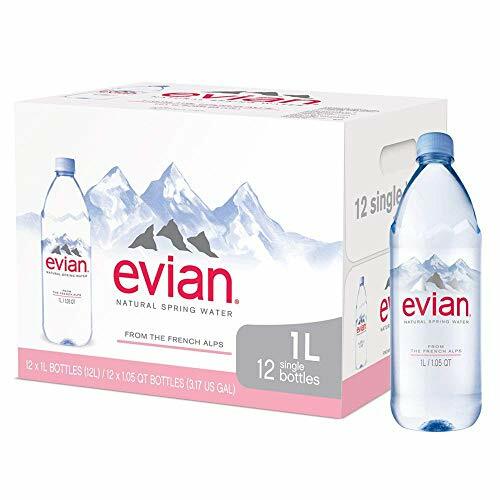 Ideal for use on camping and road trips, picnicking, or for people who spend time in their vehicles. 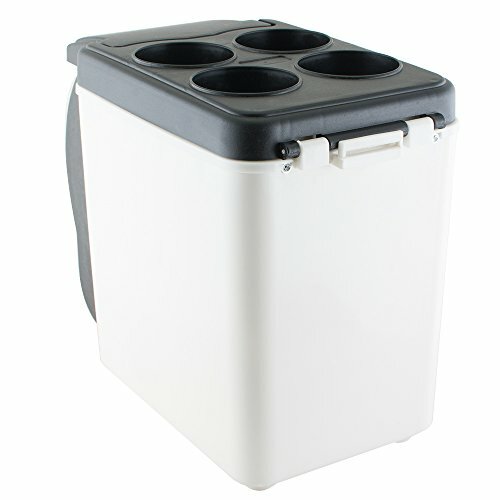 Keep your drinks cold and refreshing, no ice necessary! 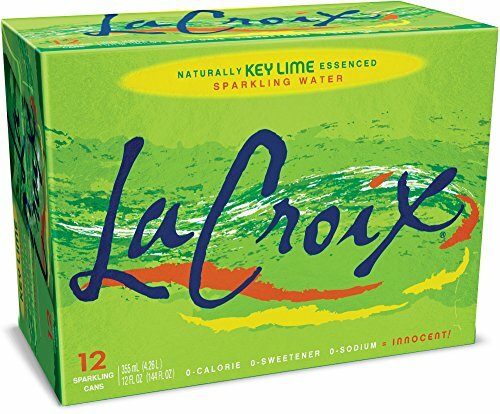 Not to mention it holds up to 18 12-ounce cans or whatever else you want to bring on your next road trip. 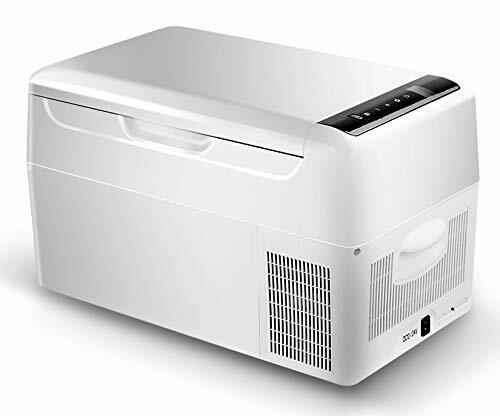 EASY SWITCH FROM COOLING TO HEATING: Take the cooler/warmer on the go and transition from cooling to heating with the flip of a switch! Easily fits in the back seat and plugs into the cigarette lighter with the included 6 and a half foot DC power cable to reach the back seat in any car regardless of the size. Cab and truck drivers love our product to keep them on the road and avoid wasting time and money at rest stops. 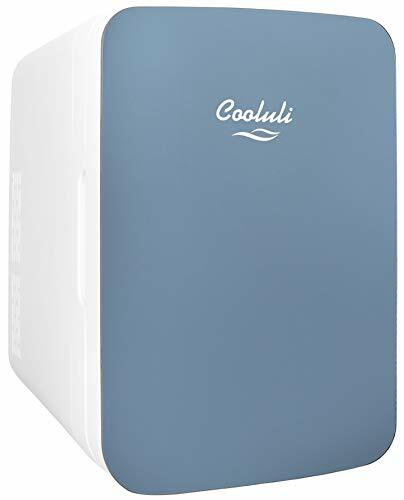 AC/DC ADAPTERS INCLUDED: The Cooluli Cooler & Warmer comes included with AC and DC power adapters - Easy to go from indoor 110V (AC) to car use by plugging the appliance into the car cigarette 12V (DC) adapter. The AC wire is 6 ft. long and the DC wire is 6 and a half ft. so finding an outlet won't be a problem. 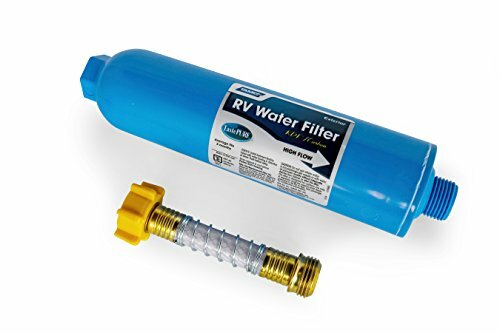 Also great for use on boats, RVs and while camping or picnicking. 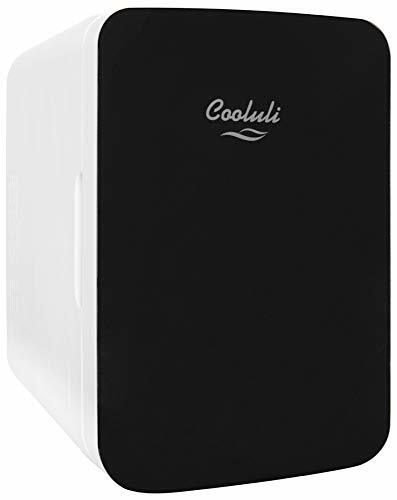 DURABLE DESIGN FOR TRAVEL: The Cooluli 15L Cooler & Warmer is designed with car travel in mind. 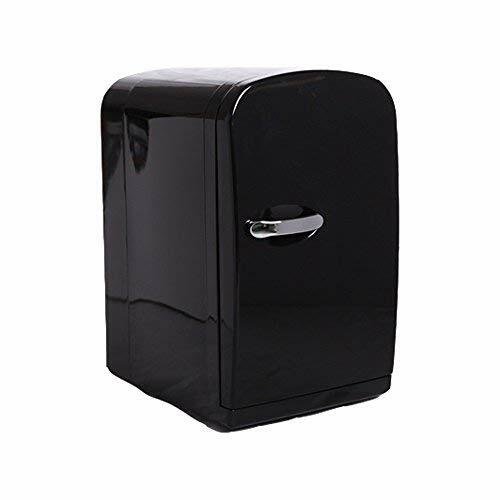 Built from high quality, sturdy plastic meaning it's lightweight and easy to carry even when full. 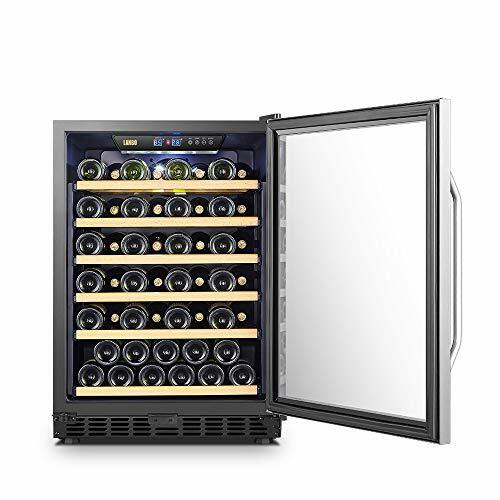 The cooler is very well insulated and will keep beverages and food cool or warm for a good deal of time after the cooler/warmer is unplugged. 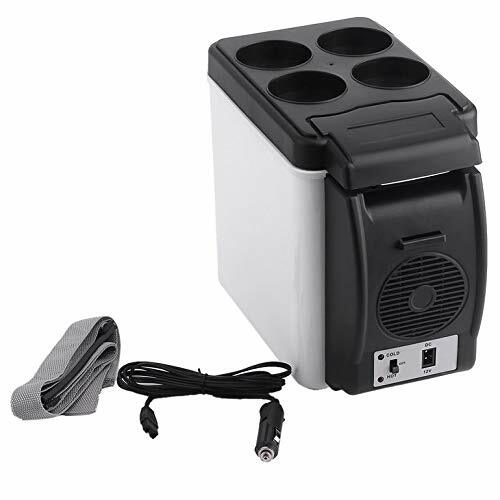 This cooler/warmer is essential for anyone who loves taking road trips or going camping! 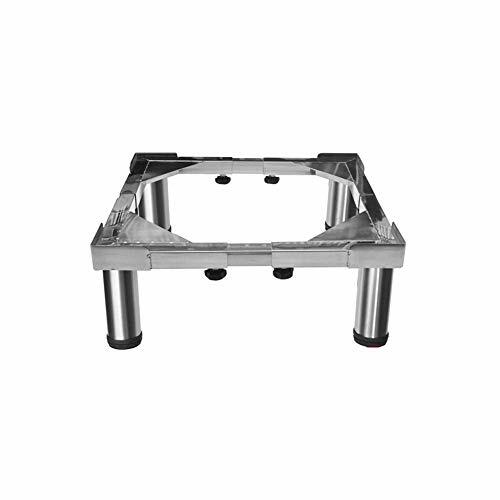 Material: (38-68cm) * (38-62cm) * (15-17cm), steel plate + pp plastic. 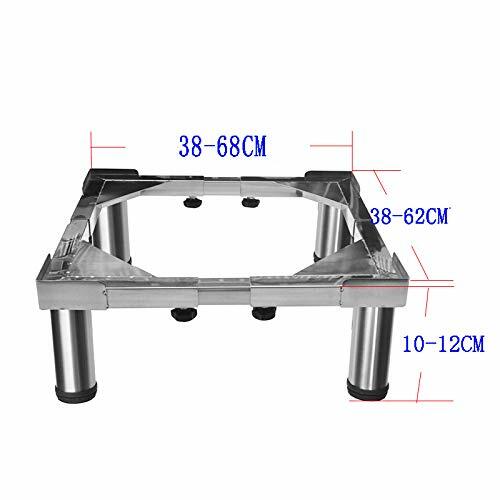 Material: (38-68cm) * (38-62cm) * (10-12cm), steel plate + pp plastic. 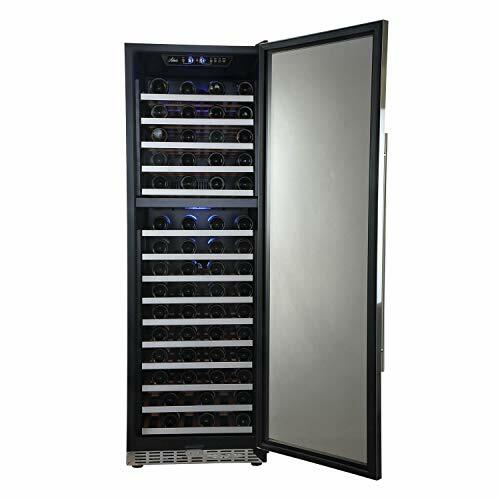 The base can be adjusted to height without worrying about unevenness of the floor, while keeping the bottom of the machine ventilated to prevent rust and prolong service life. 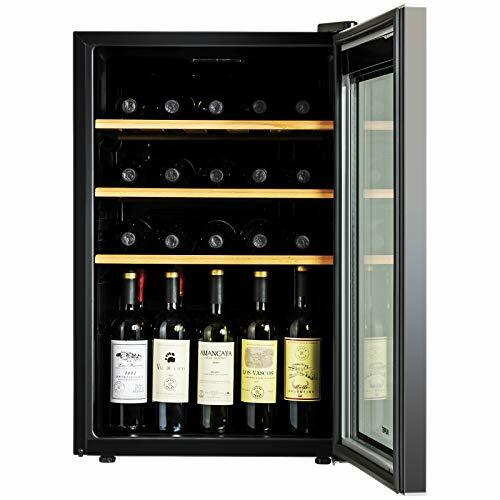 The retractable design adjusts the base size to protect your equipment and floor as you need it. 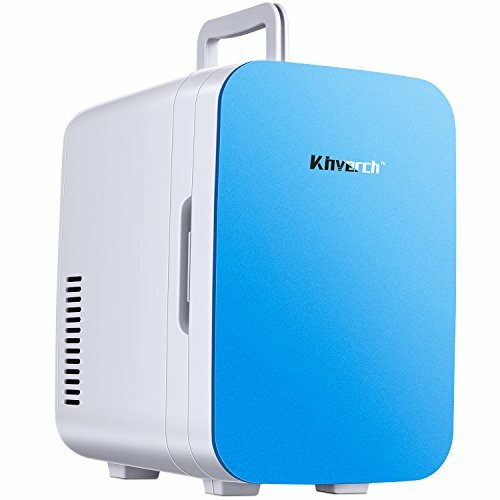 ✔Good for your life,keep air fresh around you,1-6L adjustable flow rate. 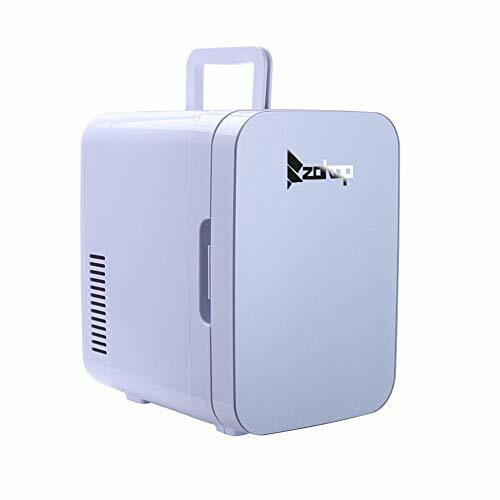 ✔Lightweight with portable design,work quiet and power-saving.It can produce O-xygen Concen-tration:30%-90%(±3%). 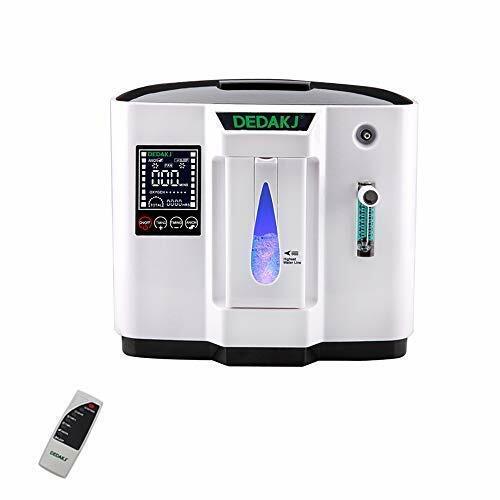 ✔Could work 24 hours a whole day if you do not set timing function.Please do not use timing setting function if you want keep it running over night.Timer setting function is from 0 to 3 hours. 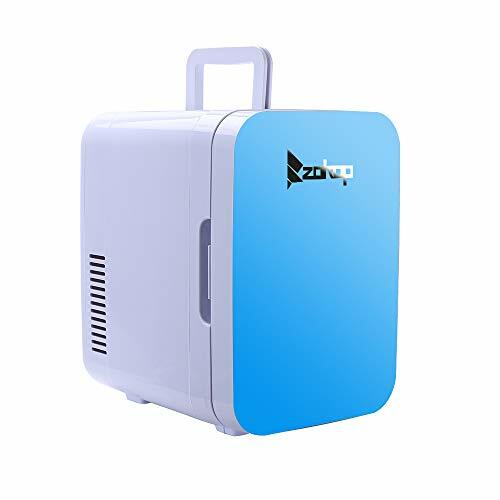 ✔Accessories pack with the main device.Use AC 110V without battery function. ✔Customer support service-24 Hours by 7 days in one year.We are always along with you. 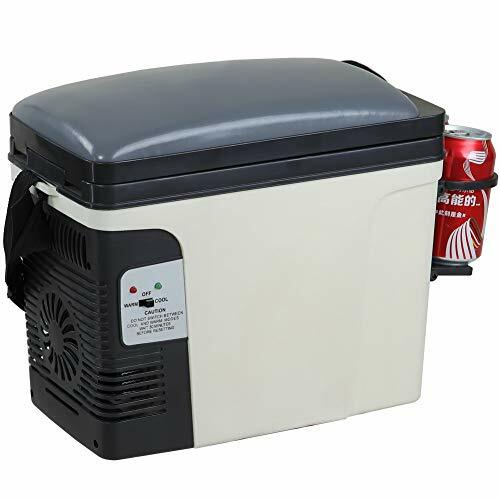 【SMART, TRAVEL READY】26.5 pounds item weight, 23 quart capacity, can fits 30 cans of Cola.Dimensions- W22.4 x D12.6 x H13.2 inch.Enough space for snacks and food.Appropriate temperature could also be chose for the constant temperature of cosmetics or medicines. 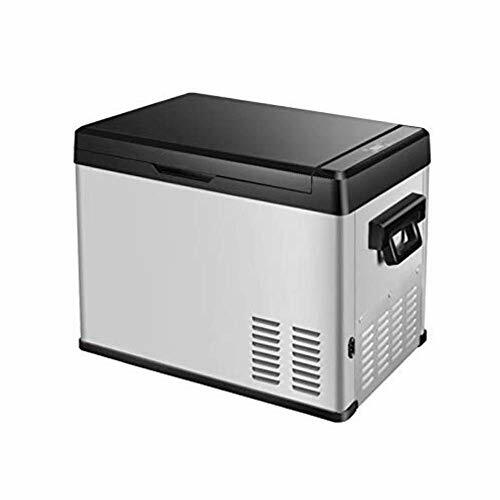 【ADVANCED FREEZING AND COOLING】Temperature range from -4°F to 68°F with different modes for option including Max (Fast Cooling) and Eco (Energy Saving). 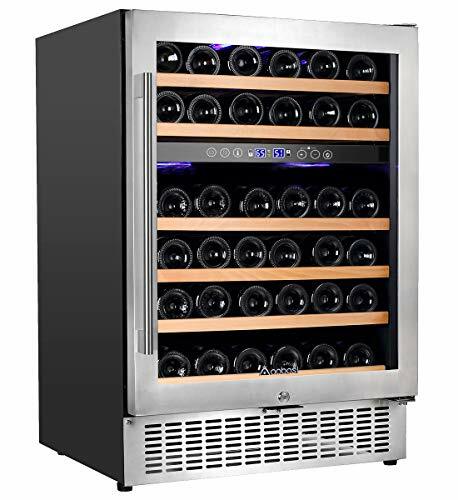 Easily keep a cool temperature for foods, snacks, drinks, or even wine bottles. 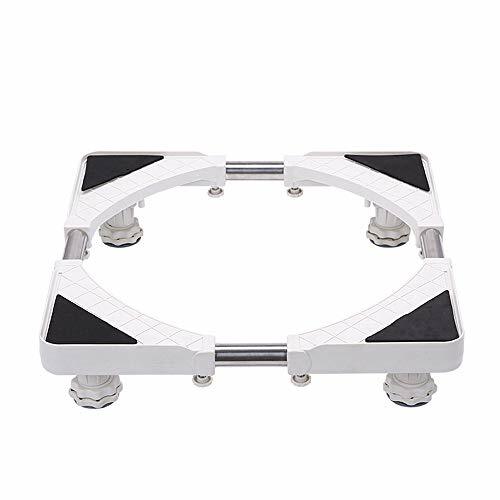 【CAR AND HOME USE】Includes 2 power cables to separately connect with 12/24V DC and 110V to 240V AC power for vehicle and home. With temperature memory function and 3 different levels for battery protection: Low, Med and High to protect your vehicle battery without run down. 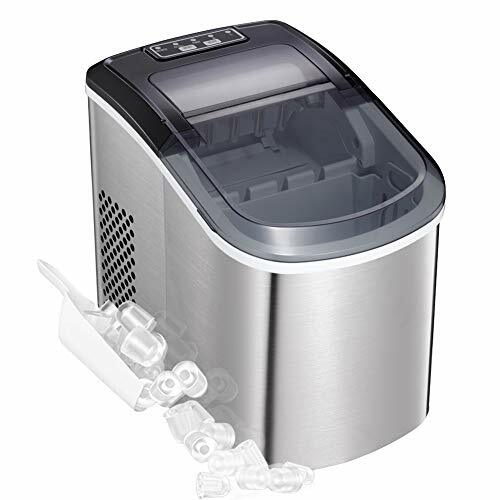 【PREMIUM DESIGN】New LCD display panel with USB socket to charge your mobile devices, ice cube tray (Make ice),built-in LED light.The Drain Plug can make it clean easily. 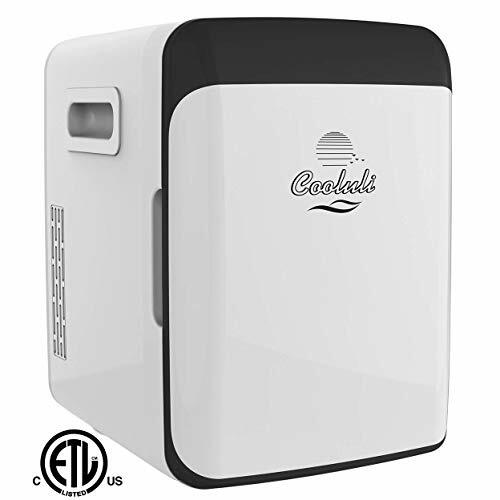 【SMART, TRAVEL READY】Super energy saving.Great Ideal for camping, travel, going on holiday, or spending time with family outdoors, keep drinks and food cold wherever you go.